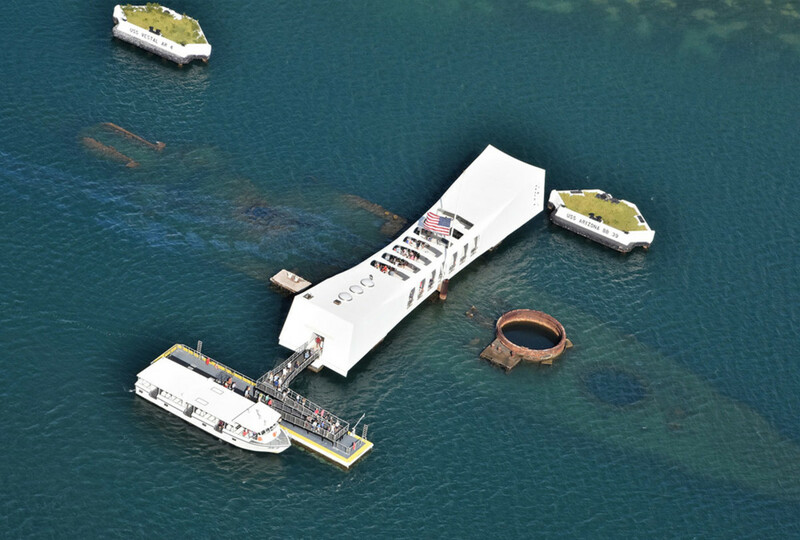 Bellingham Marine said it worked with dock system engineer Redpoint Structures to develop an innovative design for the new landing at the USS Arizona Memorial. Bellingham said it worked with dock system engineer Redpoint Structures to develop an innovative design for the new landing at the national monument, which the National Park Service closed June 14 and reopened June 29 after the work was completed. Bellingham said the dock was constructed from nine heavily reinforced concrete modules, each weighing more than 37 tons. A method of post-tensioning was used to connect them. The company said the result is an extremely rigid 105-foot-long structure that acts as a solid, single-piece platform. The USS Arizona Memorial welcomes nearly 2 million visitors a year. The memorial is built over the sunken wreckage of the USS Arizona, the final resting place for many of the nearly 1,200 crewmen killed on Dec. 7, 1941, when Japanese naval forces bombed Pearl Harbor.